Washington (AFP) - Donald Trump's national security advisor said Sunday that the US president would be "pretty disappointed" if North Korea conducted a new missile test, but he refused to confirm reports that such a test may be near. John Bolton appeared notably cautious when asked on ABC's "This Week" about a report that satellite imagery appears to show preparations at a North Korean site for the possible launch of a missile or space rocket. "I would rather not get into the specifics on that," he said. "I'm not going to speculate on what that particular commercial satellite picture shows." On Friday, the website of NPR posted a satellite image that the public broadcaster said showed intense activity around the North's Sanumdong site, where missiles and satellite-launching rockets have previously been assembled. NPR quoted an expert on the North's weapons programs, Jeffrey Lewis of the Middlebury Institute of International Studies in Monterey, California, as saying, "When you put all that together, that's really what it looks like when the North Koreans are in the process of building a rocket." 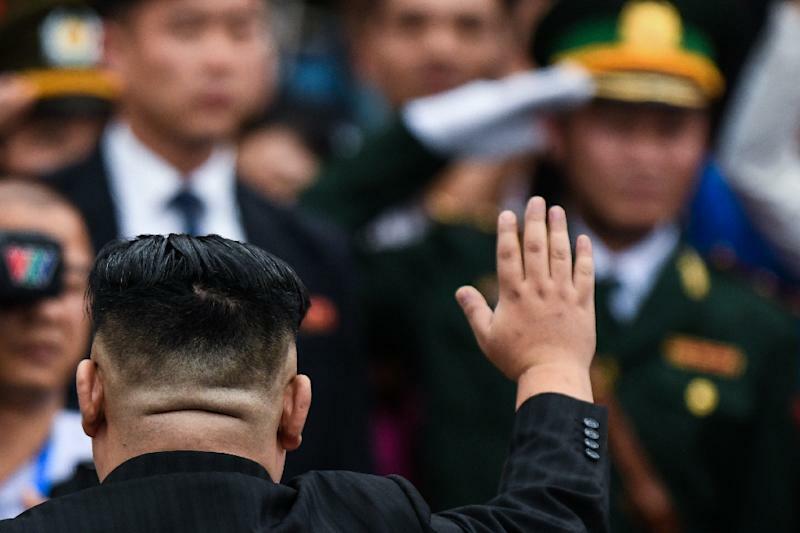 Trump, who once warned Pyongyang of "fire and fury" if it threatened the US, has been trying to negotiate the North's denuclearization with its leader Kim Jong Un, but their recent Hanoi summit ended in failure. Since then, Trump has been cautious in his prognostications, continuing to suggest a deal remains possible. He said Kim promised in Hanoi that he would do no more missile or nuclear testing, adding, "I take him at his word." Bolton declined to say whether the US was aware at the time of the Hanoi summit of any suspect satellite imagery from North Korea. But he sent a strong signal to the North that it cannot escape US scrutiny. "We see exactly what they are doing," he said. "We see it unblinkingly, and we don't have any illusions about what those are." Bolton said he was "not aware of any" contact with the North since the Hanoi summit but was expecting an update Monday from his South Korean counterpart. He said time remains on Washington's side, adding that the president "is not under pressure to make any deal. He wants to make the right deal." With North Korea still under economic sanctions, "the leverage is on our side right now, and not on North Korea's."